Kids are known for telling little white lies, but little Breanna took it to the next level in a new viral video taken by her mom Billie Jo Decker. 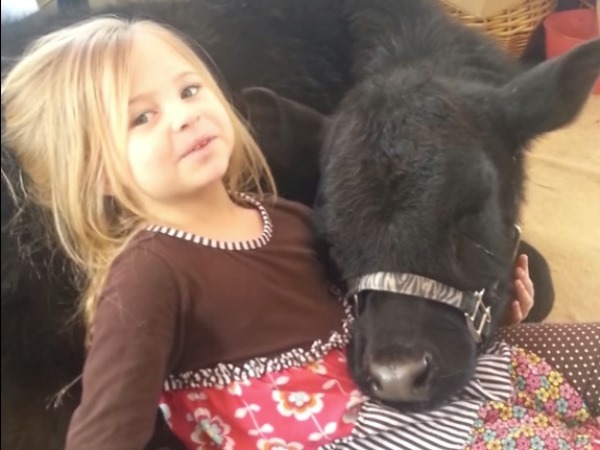 The five-year-old gave her mother a bit of a surprise when she let one of the family's cows into the house in Harford, Pennsylvania. And when her mom asks why she thought to bring the black calf inside, the little girl has no end of stories to justify her actions. None of them are remotely believable but the pair are so cute together that you just couldn't be mad.